Nowadays, most jobs require you to collaborate with fellow employees, so you can accomplish larger tasks. However, this can be difficult if your coworkers are not feeling motivated. Even if you give your all, not a lot of work can be done if your colleagues aren’t giving it their all. If your coworkers are having trouble finding motivation at work, uses these tips to give them a little inspiration. One of the best ways to get your coworkers motivated is to set a good example for them to follow. Try doing your work with a positive attitude, and get as much done as you can during the day. With any luck, your positive influence will rub off on your colleagues and convince them to work harder as well. If you are getting praised for your hard work, this can also convince other workers to do more. Everyone is a little competitive at heart, and they usually won’t sit by if they see you getting all the credit. If you find that your colleagues are not motivated, try socializing with them a little more. 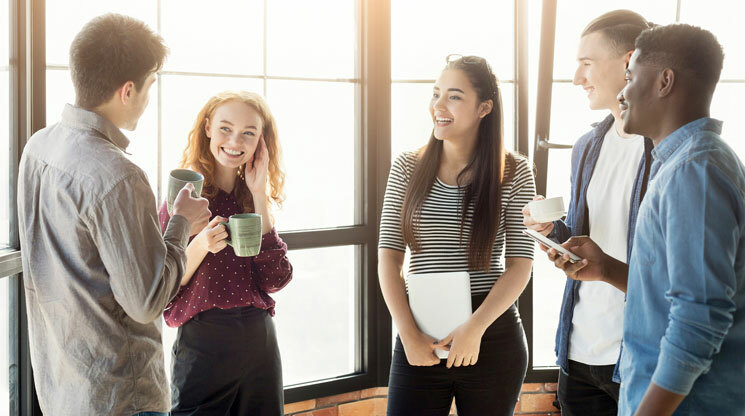 There’s no rule that states you have to be friends with every person you work with, but since you see your coworkers almost every day, you should try to get along with them and show an interest in them. Talk to your coworkers and ask how they are doing. Try discussing plans for work, or maybe tell a joke once in a while. Consider offering some support if they are overwhelmed with a large amount of work. These small gestures can go a long way, and can help motivate employees who are feeling down. Some workers have trouble finding motivation because they feel like their input is not important. To combat this, try getting your coworkers involved with the decision-making process, and ask for their input during collaborative projects. Sit down with members of your team and let them present their ideas. By listening to their ideas, you are showing your coworkers that you care about their input. Even if their ideas are not used, you should still thank your coworkers for any ideas they provide. This positive reinforcement can help inspire people to work their hardest. If you are the kind of person who pesters others about their work, you could very well be part of the problem. Sometimes people need space to get work done. If you are waiting for your colleagues to finish a task, it’s best not to hover over them. By doing this, you are making it seem like you don’t trust your coworkers, and this can be put stress or strain on their desire to work. Give them some space to do their job. Maybe your coworkers are feeling unmotivated because they feel like they are doing something wrong. If a worker is falling behind, you shouldn’t berate them because this can actually make the problem worse. The best thing you can do when an employee is feeling down is to offer positive encouragement. If you have to criticize someone for their work, it’s a good idea to focus on that person’s strengths first, to start on a positive note. After offering some critiques, try offering solutions, so your coworkers can determine how to make improvements. By doing this, you can give them hope that they can better themselves in the future, and this can motivate them to work harder.